Why do I need flood insurance if it is not required? It is a common belief that flood insurance is not available unless you are in a “high risk” flooding area. Everyone lives in a flood zone and as long as the community participates in the National Flood Insurance Program, you will be able to purchase a policy. Flood is not a covered peril under a homeowners insurance policy. By purchasing a flood insurance policy, it provides you with peace of mind for those rare occasions. 40% of all floods occur and cause damage in the low risk flood hazard areas. A flood can also be caused by a “man-made” disaster such as a water main break, a sewer main break, fire hydrants or a collapsed pool. Won’t I receive government assistance? It is a common myth that in the event of a flood the government will give money to fix homes. You may receive assistance from the government; however, the president must first declare the flooding a disaster before assistance is given. Once it has been declared a disaster, the money is not free. The government will loan the money at a low interest rate and only provide assistance for primary homes. 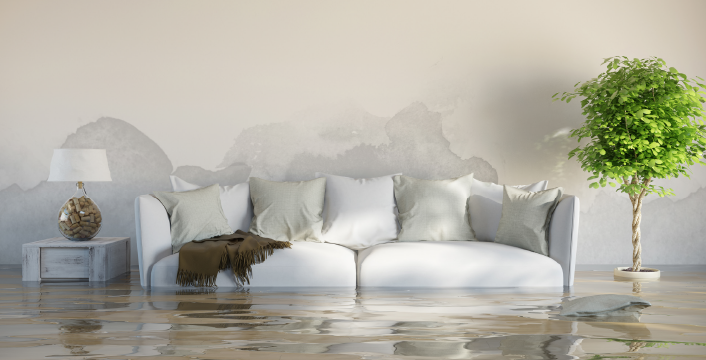 The NFIP flood insurance policy will provide coverage for your building property, personal property as long as contents coverage was purchased, and increased cost of compliance. The coverage for your home includes: the structure itself at the described location, a detached garage at the described location, awnings and blinds, built in appliances, furnaces, water heaters, central air-conditioning, refrigerator and cooking stoves, built-in cabinets, bookcases, permanently installed carpet over unfinished floors and electrical and plumbing systems. The personal property/contents coverage includes: Household personal property, motorized service equipment such as lawn mowers, movable air conditioning units, non-permanent carpeting, permanently installed carpet over finished floors, washers and dryers, food freezers (walk-in), food in any freezer and portable appliances. Seriously quite a lot of superb material.